Editor’s note: This month, we look at bars using ridesharing rewards to increase dine-in visits, a burger chain’s big bet on facial recognition and an update on the delivery wars. One of the biggest problems facing restaurants today, outside of labor challenges, is lack of foot traffic. Some brands are turning to delivery to shore up sales. But bars and cocktail-centric restaurants are betting on another strategy to lure loyal customers and increase sales: Uber. TGI Fridays, World of Beer and Buffalo Wild Wings as well as independent bars and nightclubs, are testing a new app called Freebird Rides. The Uber-affiliated app gives cash-back rewards to diners who use the ride-sharing service to travel to restaurants. The Venice, Calif.-based Freebird app is available in Boston, Denver, Dallas, Washington D.C., and parts of Southern California. 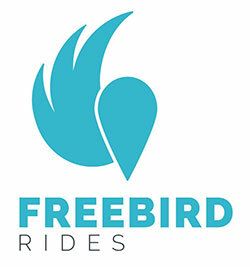 It has been in test in Los Angeles for more than a year, having logged about 100,000 rides in that market, Freebird CEO Kurt Brendlinger said. Brendlinger said diners using Freebird, on average, tend to spend twice as much compared to standard check averages. “They don’t have to worry about drinking too much,” Brendlinger said. Restaurants that partner with Freebird agree to a specific cash back reward. Freebird lists participating restaurants that offer cash-back rewards if you take Uber to their restaurant. Freebird, in turn, connects the guest to Uber without leaving the app. Restaurant chains piloting the app include a few TGI Fridays in Dallas and several Umami Burger and Lemonade restaurants in Southern California. Buffalo Wild Wings restaurants nationwide are featured on Freebird, the app company said this week. The dining venues pay the cash-back reward after the customer has made a purchase at the restaurant. In Southern California, most restaurants appearing on the app this week were offering a $4 cash-back reward. Most were bars, taprooms and gastropubs including Chapman Crafted Beer and seafood restaurants Malibu Fish Grill and Grill and City Tavern. Since launching in three U.S. markets in the spring, Freebird said it has driven about $2.3 million in revenue to partner bars and restaurants. 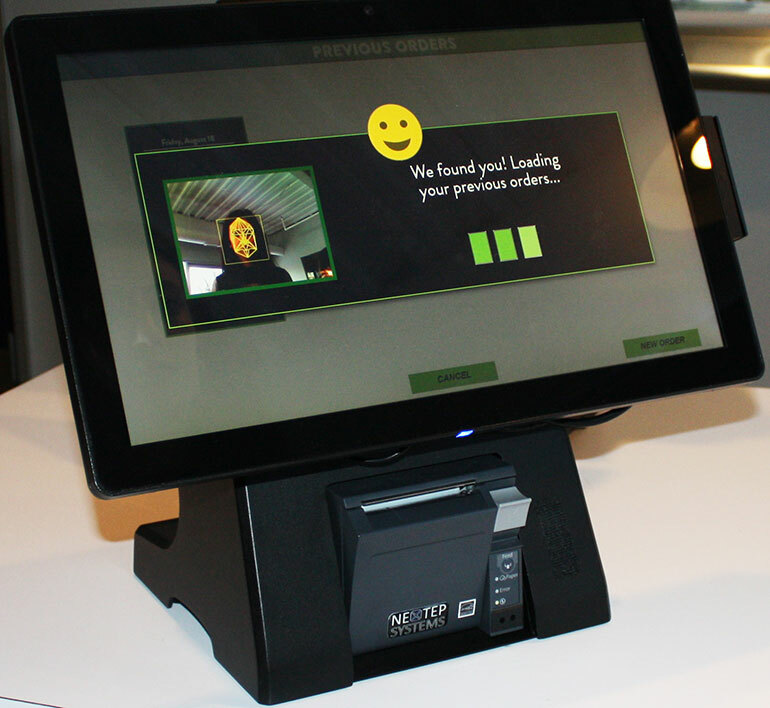 BurgerFi has expanded its facial recognition software to 23 of its 108 restaurants. Once a customer opts in, the technology records his or her facial geometry. On subsequent visits, the kiosk displays the customer’s previous orders. They can re-order with one touch. “The speed of service is incredible,” said Lou Palermo, director of finance, planning and operational support, for the Florida-based grass-fed burger chain. The BurgerFi kiosks do not include a “pay with your face” option like the technology found at Pasadena, Calif.-based CaliBurger. Earlier this year, the company installed two large kiosks that are equipped with facial recognition software for ordering and paying. The tech-forward burger chain is known for introducing Flippy, a robot that flips burgers. BurgerFi restaurants equipped with facial recognition software are in Texas, Florida, Georgia, Kansas, North Carolina, Arizona and Indiana. Restaurants who work with DoorDash are extending their reach thanks to a partnership between TripAdvisor and the San Francisco-based third-party delivery operator. The partnership, announced last week, allows travelers skimming TripAdvisor’s app or website to order for delivery or pickup from DoorDash restaurants such as Chipotle Mexican Grill, Chick-fil-A, IHOP and White Castle. “We’re excited to integrate with TripAdvisor to open up our platform to more diners, providing customers with more ways to get the local food they crave while traveling,” DoorDash COO Christopher Payne said in a statement. In 2017, TripAdvisor began offering restaurant ordering through its website when it entered into a similar agreement with DoorDash rival Grubhub. Similar deals have followed. The company recently added third-party pizza delivery operator Slice to its restaurant filter. Slice, which charges a flat delivery fee of $1.95 per order, works with 10,000 independent pizza restaurants. Slice restaurants found on TripAdvisor include New York City restaurants Joe's Pizza, Motorino, Artichoke, Vinny Vincenz Pizza and Patritzia’s of Manhattan. Wingstop Inc. has expanded its delivery test with DoorDash by adding Los Angeles and Houston to its delivery footprint. Delivery is already available Las Vegas, Chicago, Austin, Tx. and Denver. Stacy Peterson, Chief Experience Officer, said 80 percent of Wingstop’s more than 1,200 locations will offer delivery by end of 2019. Broomfield, Co.-based Noodles & Co. also expanded its DoorDash partnership. In late fall, the fast-casual chain added delivery to 300 restaurants nationwide. The chain also has delivery and online ordering agreements with Grubhub, Uber Eats and EatStreet. Following in the footsteps of Chipotle Mexican Grill, Zoës Kitchen is now offering direct delivery through its website or via its mobile app. Delivery from 231 restaurants operated by the Plano, Texas-based Mediterranean chain is available with DoorDash.